Professor Kevin Warwick, the world’s leading expert in Cybernetics, here he unveils the story of how he became the worlds first Cyborg in a ground breaking set of scientific experiments. In the years ahead we will witness machines with an intelligence more powerful than that of humans. This will mean that robots, not humans, make all the important decisions. It will be a robot dominated world with dire consequences for humankind. Is there an alternative way ahead? Humans have limited capabilities. Humans sense the world in a restricted way, vision being the best of the senses. Humans understand the world in only 3 dimensions and communicate in a very slow, serial fashion called speech. But can this be improved on? Can we use technology to upgrade humans? The possibility exists to enhance human capabilities. To harness the ever increasing abilities of machine intelligence, to enable extra sensory input and to communicate in a much richer way, using thought alone. Kevin Warwick has taken the first steps on this path, using himself as a guinea pig test subject receiving, by surgical operation, technological implants connected to his central nervous system. 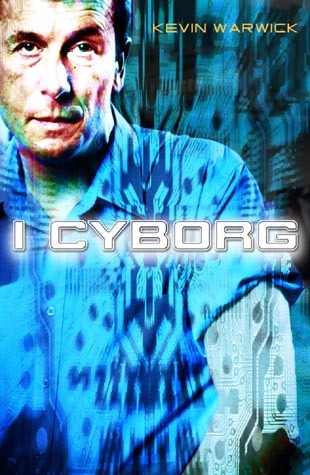 A Cyborg is a Cybernetic Organism, part human part machine. In this book Kevin gives a very personal account of his amazing steps towards becoming a Cyborg. The story is one of scientific endeavour and devotion, splitting apart the personal lives of himself and those around him. This astounding and unique story takes in top scientists from around the globe and seriously questions human morals, values and ethics. Overriding everything, at the expense of a normal life, is Kevin’s all encompassing scientific quest and desire to be a Cyborg.